Old single pane windows don't help. Insulation - what kind ? where ? Efficient water heating is a must! How will you heat the home ? LED lighting in residential homes today ! Do you have to buy solar panels to be "Green" or energy efficient? 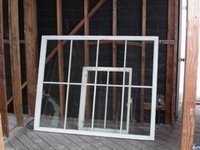 High performance windows with an R-value around 3.0 will significantly improve your homes energy efficiency. You also want to understand the influence of the Solar Heat Gain Coefficient (SHGC) on the indoor environment. If you are trying to maximize a passive solar design you may want to allow more energy into the house - a higher SHGC, say around .60. However, you don't want to overheat the house either. Thermal mass in the house will help to absorb this heat during the day and release it as the temperatures cool. 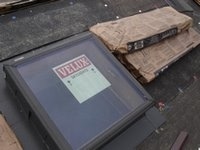 Good Insulation like windows is a must for a energy efficent building envelope. In California, our Title 24 standard insures that an adequate amount of insulation will be used. Where and when should you use more than the standard ? Honestly, the answer is: If the additional cost is marginal for an improvement OR a reasonable cost is possible for a significant improvement it is worth doing. Our Thermal Simulations were able to demonstrate where the best return on investment was. There are many type of insulation to choose from to get a healthy indoor environment, a sound/moisture barrier and to use sustainable products. We used Cellulose - recycled newspaper with a fire retardant applied, Icynene - blown in foam and some fiberglass batts. 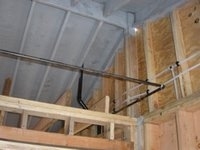 Ever seen a fiberglass batt installation? 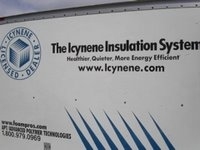 That is one of the reasons we wanted Icynene in our walls- it has a good R-value/inch and really limits infiltration losses. It is a water delivery system (so, no GHG are released at installation and now they have a soy-based formula. I strongly recommend heating your water from the Sun. It is one of the best returns on your energy efficiency dollars. These simple, passive tanks on your roof will provide you with FREE hot water very soon due to the short pay-back period. I suggest coupling the solar thermal water heating with an on-demand backup water heater ( tankless). If you have a larger house and can find a knowledgeable installer you may want to investigate using a boiler to combine your water heating into one system for both domestic hot water (DHW) as well as space heating. If we did things just right with our passive solar design we wouldn't need to think about space heating because our indoor air temperatures would be between 65-73 all year round. While this is feasible in some climates most codes require some type of backup heating. 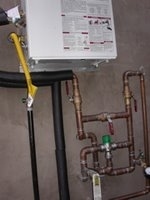 Boiler for both DHW and radiant floor heating . Heat Pump (air or ground). 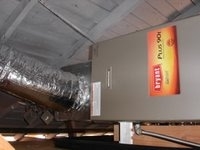 +93% 2-stage Energy Star furnace, smallest capacity. Lighting can make up surprisingly amount of a homes energy usage. It doesn't need to. Use day lighting techniques, fluorescent & LED lighting and conservation - turn the lights off when they are not needed. Skylights and windows on two walls in a room will help to make the most of natural light. A passive solar home positioned facing south or south-east will get a lot of Summer afternoon sun from the Northern windows. In harsher climates you would want to limit the homes exposure on the north side but, in a temperate climate in a traditional neighborhood your going to have doors and windows on the north side so, use it to get natural light into the house so you can keep the artificial lights off. Afternoon sun on the West side of a home can inject a lot of heat into a house of there is a lot of glazing on the West side. Design with this in mind and use landscaping as post-design strategy to moderate the impact. Habits and lifestyle. We may have to make some changes to how we do things if we really want to be energy efficient. Besides the many things you can do around the house there are things to be done outside the house. Walk, bicycle or take mass transit when you can. Demand better fuel economy in our cars, trucks and commercial fleets. Re-think your daily routines - How can they be more efficient ?